i Click 'view all' to instantly compare this ok deal with offers on other top camera cases. Qipi Camera Bag Sling Bag Style Camera Case Backpack w/ Modular Inserts is currently selling at $32.99, which is its normal price. It has a lowest price of $32.99 and is selling within its usual range. Price volatility is 0.15% (meaning it does not change often), so you might have to wait a while for the price to drop. Until then this is a recommended 'ok deal'. The current deal is also the best price on this item over the last month. 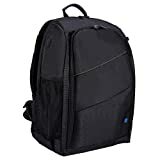 Compare the current price, savings (in dollars & percent) and Buy Ratings for the top Camera Cases that are closely related to Qipi Camera Bag Sling Bag Style Camera Case Backpack w/ Modular Inserts. Here is how Qipi Camera Bag Sling Bag Style Camera Case Backpack w/ Modular Inserts compares with other leading Camera Cases. SLING BAG STYLE CAMERA BACKPACK Quick rotation from the back to the front of your body gives you FAST AND EASY ACCESS to your camera. Soft padded crossbody shoulder strap for MAXIMUM COMFORT for both men & women. DESIGNED FOR PHOTOGRAPHERS Holds your DSLR or mirrorless camera with a standard zoom lens and allows you to pack extra lenses or flash units. Comes with INCLUDED WATERPROOF RAIN COVER. The exterior also features a TRIPOD HOLDER. MODULAR INTERIOR INSERTS Compact form factor with large interior (10.6 x 9.4 x 5.9 inch LxWxH), featuring removable modular organizer inserts. CUSTOMIZE THE BAG AFTER YOUR NEEDS. Small COMPARTMENTS FOR ALL YOUR ESSENTIAL ACCESSORIES. HIDDEN ANTI-THEFT POCKET Safely store your valuables while in the outdoors or when you travel. Easily access your phone in the DEDICATED PHONE POCKET on the shoulder strap. Details: Weight: 1.7 pounds Product dimensions: 16.1 x 10.2 x 6.7 inches Main compartment dimensions: 10.6 x 9.4 x 5.9 inches Material: Nylon Package includes: 1 x Qipi Camera Slingbag DSLR Lens Bag Traveller Bag Compability: Compatible with Canon, Nikon, Sony, Olympus, Pentax and other DSLRs and photographic equipment. 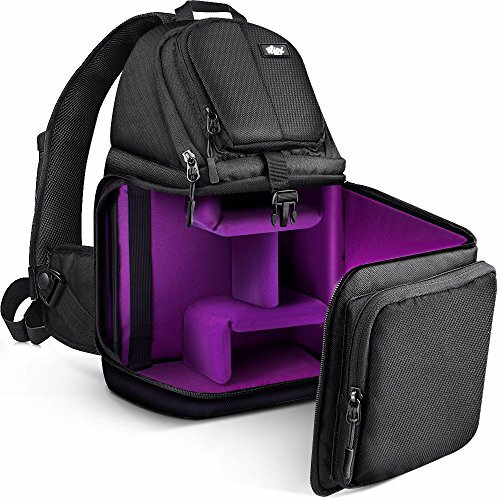 Features: - Sling bag and side open design - DSLR lens and camera pocket - Thief proof belt pocket - Cell phone pocket - Flash light pocket - Memory card organizer FeaturesSLING BAG STYLE CAMERA BACKPACK - Quick rotation from the back to the front of your body gives you FAST AND EASY ACCESS to your camera. Soft padded crossbody shoulder strap for MAXIMUM COMFORT for both men & women.DESIGNED FOR PHOTOGRAPHERS - Holds your DSLR or mirrorless camera with a standard zoom lens and allows you to pack extra lenses or flash units. Comes with INCLUDED WATERPROOF RAIN COVER. The exterior also features a TRIPOD HOLDER.MODULAR INTERIOR INSERTS - Compact form factor with large interior (10.6 x 9.4 x 5.9 inch LxWxH), featuring removable modular organizer inserts. CUSTOMIZE THE BAG AFTER YOUR NEEDS. 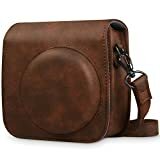 Small COMPARTMENTS FOR ALL YOUR ESSENTIAL ACCESSORIES.HIDDEN ANTI-THEFT POCKET - Safely store your valuables while in the outdoors or when you travel. Easily access your phone in the DEDICATED PHONE POCKET on the shoulder strap.